← Remove hoses from outside faucets…. If you don’t , watch out for leaks! Maybe I’m just too picky, but there are several good reasons why electrical wires should not be near the attic access stairs. One reason is mechanical damage. The spring has been rubbing against the wire for less than a year. The insulation has been worn through to the bare wire. That would explain that tingling sensation when you grab the metal railing. Wow, the next thing would be the smell of burning wood! 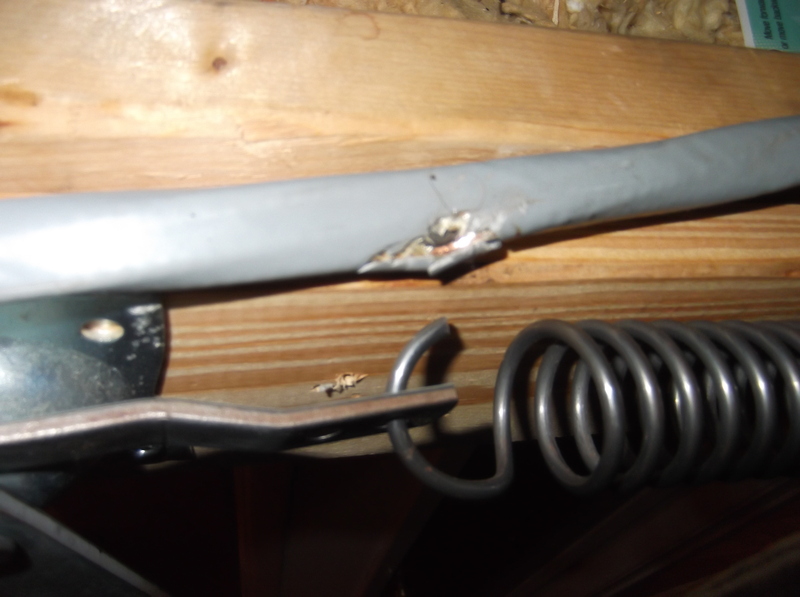 This entry was posted in Safety and tagged attic access, exposed electrical wires. Bookmark the permalink.